Were the Cart Ruts/Tracks of Malta used to channel the flow of natures energy? What were the Cart Ruts on the island of Malta created for? What were the Cart Ruts of Malta created, built or designed or used for? If not transportation then why were the Cart Ruts built or shaped? Could the Cart Tracks have been used in some places to shape and channel the flow of natural energy that flows around and through the earth? If you had an area where more power is created or attracted to then you would need more than one Cart Rut and this may help to explain Clapham Junction and Sand Gwann Junction. If it was an area of natural power then this may also explain why the Cart Ruts have electrobleme geology associated with them. When the last great surge or sudden stop in power (Vitrification) occured not only did the "Temples" or fort buildings in England, Scotland, Wales, the "Temples" of Malta, stone walls in North America, "Temples" in India get Vitrified but any other area concentrating or storing this power may have also been hit. 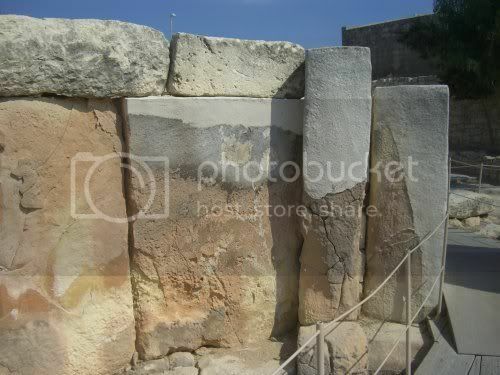 Malta's "temples" or natural energy buildings? Where the "temples" of Malta not worship/ritual temples but buildings designed to transform or store the Earths and the universes natural power? The Earth is highly electric, the air is highly charged and massive electric currents, Telluric Currents, flow through the Earth. Were some of other cultures buildings also designed for the same purpose? The Egyptian pyramids we are told were built for the Pharaohs as tombs but there are a few problems with that idea. No Pharaoh has ever been in them. The actual "Kings Chambers" are unadorned, not decorated, would you build an amazing thing such as a pyramid and not decorate where the Pharaoh will be left? There also appears to be scorch marks in the pyramid including vitrification in the main Grand Gallery. Is this similar partial or full Vitrification like the hill forts of UK, temples in India and places in America? Perhaps Vitrification caused by the stopping of the power? Malta's "Temples" also show high temperature burning or is it the start of partial Vitrification? While the group entered a meditative state in the King's Chamber, the film crew and I went out into the Grand Gallery to do some filming. I was going to describe, on film, my theory about the function of the Grand Gallery. This involved pointing out the slots in the gallery side ramps, the corbeled walls and the ratchet style ceiling. I was equipped with the microphone, and stood in position just below the Great Step while the camera was position on top of it. As the sound guy, adjusted his equipment, I scanned the wall with my flashlight. I noticed that the first corbeled ledge had some scorch marks underneath it, and that some of the stone was broken away. Then the camera lights came on and things became really interesting. In all the literature I had read, the Grand Gallery is described as being constructed of limestone. But here I was looking at granite! I noted a transition point further down the gallery where it changed from limestone to granite. I scanned the ceiling and saw, instead of the rough crumbling limestone one sees when first entering the gallery, what appeared to be, from 28 feet below, smooth highly polished granite. This was highly significant to me. It made sense that the material closer to the power center would be constructed of a material that was more resistant to heat. I then paid closer attention to the scorch marks on the walls. There was heavy heat damage underneath each of the corbeled layer for a distance of about 12 inches, and it seemed as though the damage was concentrated in the center of the burn marks. I then visually took a straight line through the center of each scorch mark and projected it down towards the gallery ramp. That was when the chills ran down my spine and the hair stood out on my neck. The line extended down in alignment with the slot in the ramp!